The Story Laboratory was born from the desire to bring stories into the world. It’s a place of experimentation, of expression, of creativity, and ultimately connection. A fresh new take on its earlier inception (and now sister company) Waking the Dream, The Story Laboratory offers writing, editing, book design, coaching, and pre-publication services. We also offer Technical Writing, and will soon be offering workshops. Clients include publishing companies, independent authors, entrepreneurs, and those who wish to hone their creative writing skills. Kelly has a Masters degree in Writing & Consciousness, and nearly 15 years of experience in traditional publishing. Her primary expertise is in nonfiction, with special attention to travel and business. She also has expertise in fiction and poetry. 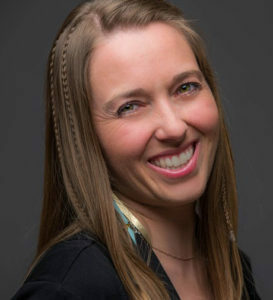 She’s a co-founding editor of Immanence Journal, and has worked with companies and media outlets including Hachette Book Group, Gibbs Smith Publisher, Cengage, Western Art Collector magazine, and Northern Arizona University’s literary journal Thin Air. Her own work has been published in literary magazines such as Guernica, The Rumpus, Tarpaulin Sky, Drunken Boat, Mission at Tenth, Thema, Switched-On Gutenberg, and many others. Additional articles have appeared in commercial magazines internationally including Natural Awakenings, Co Yoga + Life, True Blue Spirit, American Art Collector, Western Art Collector, and many others. Her writing has also been featured on the home page of ElephantJournal.com, and on NPR’s The Writers’ Block. She’s the author of the chapbook We Once Were, and the experimental Mastering the Dream. She’s a contributing author to the anthologies Dreams That Change Our Lives, Are You the Missing Piece?, and My Journey, My Journal. She’s also the author of the ebook Dream Incubation for Greater Self-Awareness: A Handbook. Kelly is also a published and exhibited photographer. Her work in both color and black and white has been featured in Vista magazine, Queen City Review, Photographer’s Forum Annual, and others, and exhibited in Los Angeles, London, and the U.S.
Kelly is a recipient of a Professional Development grant from the Arizona Commission on the Arts, a National Endowment for the Arts program, and she is a member of the Academy of American Poets. She’s also the founder of The Story Laboratory’s sister company Waking the Dream, for which she was the recipient of a Juno award from the Internationally-renowned OMEGA Institute in Rhinebeck New York. To learn more about her work in personal growth and to purchase her books, visit her author site at www.kellylydick.com. After twenty-five years in retail sales with an emphasis on pricing and inventory, Deb finally decided to leave that behind and go for her passion: books. 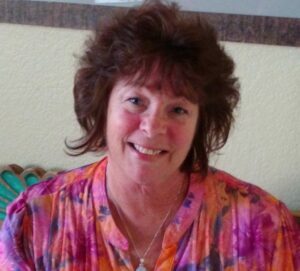 Debbie is a life-long book lover and natural grammarian. She enjoys political thrillers by Tom Clancy and Fantasy series by J.R.R. Tolkien and J.K. Rowling. Also, a self-proclaimed “foodie,” (her name is Debbie Baker after all!) she enjoys finding and reading old cookbooks to inspire new recipe ideas. She also enjoys researching old cooking techniques, tools, and ingredients. Deb has been married for thirty-eight years, has two grown daughters, two dogs, and recently became a grandmother to her first granddaughter. When Debbie isn’t reading, cooking, or baking, you can find her with her hands in the dirt gardening and landscaping. She’s thrilled to be part of the team at The Story Laboratory and can’t wait to get her hands on your next best-selling title to ready it for publication. We have several designers on our team at The Story Laboratory, with specialization in travel, fiction, and nonfiction. Our designers work with our authors and entrepreneurs to best communicate the story being told. Whether you need business logos and branded marketing materials, interior book layout, or book jacket designs, your creative vision is our business. Kemi is a website designer and developer who builds engaging web experiences on content management systems (CMS) such as WordPress, SaaS platforms, and social network web applications. Before she opened her business, Poles Apart Design, Kemi worked for Adobe Systems, Inc. as a Senior Front-End Developer developing facebook web applications for interactive marketing campaigns (contests, polls, quizzes) for brands such as Kohls, Chase, and Hilton Hotels. Currently, Kemi specializes in WordPress Front-End development, and builds engaging, optimized, and responsive custom WordPress powered websites for her clients. She works with well-funded non-profits, entrepreneurs, writers, authors, and small business and design agencies using her coding skills, keen eye for design, and deep understanding of back-end technologies. Also, as a Technical Writer, Kemi translates technical gibberish into plain English for the everyday non-technical person. In partnership with The Story Laboratory, Kemi has teamed up Kelly to offer special rates for new and existing websites powered by WordPress, designed and built specifically for the needs of authors and writers; and she offers technical writing services for small and large businesses. Before stumbling on web design, Kemi worked in book publishing for Avalon Travel, where she met Kelly. She also worked for Publishers Group West, City Lights Booksellers & Publishers, and Nolo Press. Kemi has a Bachelors of Arts in English & Creative Writing from San Francisco State University. Her additional coding and design expertise is supported with training from Sessions, Academy of Art San Francisco, and AcademyX. 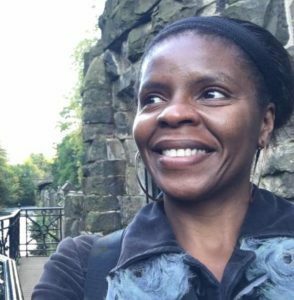 When Kemi is not working, you can find her taking classes on fiction and poetry, writing, traveling, sewing, and incorporating mindful practice in her daily life as an HSP and INFP through meditation, taking classes at the East Bay Meditation Center in Oakland, California, and via her holistic approach to exercise and plant-based nutrition. 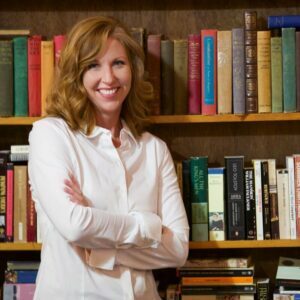 Krista Rolfzen Soukup is a literary publicist and owner of Blue Cottage Agency. She has a passion for helping writers and authors successfully promote their work and establish their platform. Through her expert guidance, knowledge of the publishing industry and vast experience, she has successfully supported writers and authors across the country. She provides creative strategies and brand development for both new and experienced authors, as well as personalized guidance during every stage of book production, from prepublication through promotion. Krista speaks and provides publicity workshops and classes at writing conferences and organizations throughout the United States. I have worked with Kelly on several projects over the past few years. She has the utmost professional attitude, and focuses on a problem applying her breadth of skills. She is also a pleasant and delightful person that is a pleasure to work with. I have worked with well over 100 contractors over the past 5 years, and hold Kelly in the top 10. Kelly is always key in my mind for new and ongoing projects, and I look forward to working with her for years to come.